John, Elsie and Deb are a passionate and caring team that strive to provide the best possible solutions for your dental needs. John Boyens graduated BDS from the University of Otago in 1977, and ran a successful general dental practice in Napier and Taradale for almost 20 years after two years of hospital experience at the Napier hospital dental department. 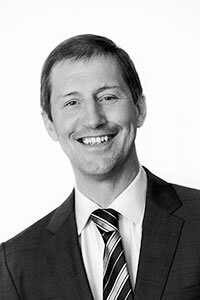 John then decided to undertake further study in the specialty of periodontics, and completed the Master of Dental Surgery in Dunedin in 2001. He established a specialist practice in the southern city, while maintaining a teaching role at the School of Dentistry, teaching at both undergraduate and postgraduate levels until 2011. John continued to provide specialist services in periodontics and dental implants in Dunedin until April of 2015, when he and Elsie relocated back to Hawkes Bay. John established Hawke’s Bay Periodontics in 2015, and now delivers specialist periodontal and dental implant services out of new purpose-built rooms in Dunvegan House, Napier. John is passionate about periodontal health, and understands that having a healthy foundation is essential for a lifetime of great oral health. Elsie Boyens manages the front end of the office, ensuring that patients are welcomed into the practice with warmth and understanding. Elsie has a teaching background, and is now enjoying seeing the benefits that patients find following the various treatments offered by the practice, and the understanding that they develop about their own oral health issues. 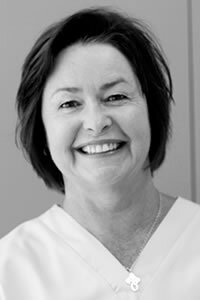 Elsie is your first point of contact at Hawkes Bay Periodontics. 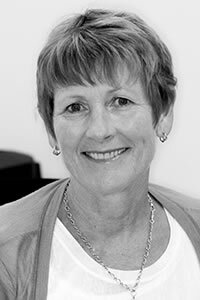 Deb Symonds has a wealth of experience in the dental world, having worked in both general and specialist dental practices for many years. Deb is committed to caring for our patients, and to ensuring the best of instrument handling and sterilization processes. A vivacious personality, Deb will ensure that your visit with us is not without empathy and humour. © HAWKE’S BAY PERIODONTICS AND DENTAL IMPLANTS | DESIGN by PIXEL FOUNDRY. BUILT and POWERED by WEBTASTIX INTERNET SERVICES.